Mario's all over the place at the moment. In the last two years alone, he's appeared in Mario & Luigi: Bowser's Inside Story + Bowser Jr.'s Journey, New Super Mario Bros. U Deluxe, Super Mario Party, Mario Tennis Aces, Super Mario Odyssey, Mario + Rabbids Kingdom Battle, Mario Kart 8 Deluxe, and plenty more besides. We can't get rid of him. As spotted by the folks over at GoNintendo, the classic level design of the Super Mario. Bros series has been referenced in the latest issue of Marvel's Friendly Neighborhood Spider-Man comic series. The nod to the games appears in issue four - you can see it for yourself in the image below. 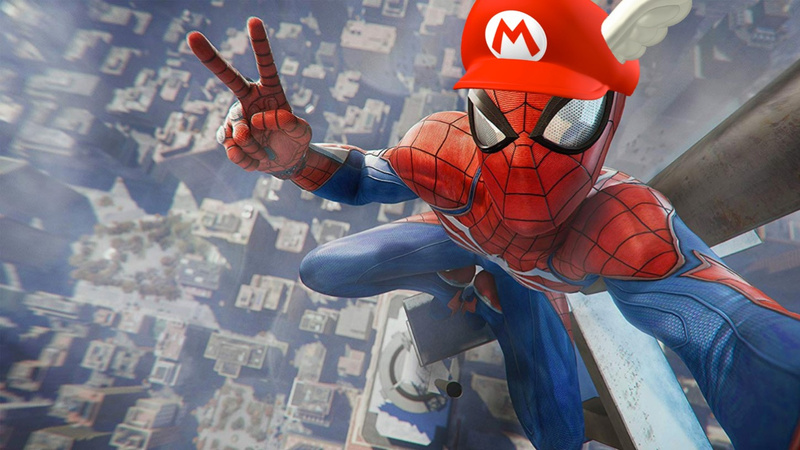 We've never considered this before, but we'd be very up for some Mario x Spider-Man crossover action on Switch. How would it work? We've no idea. Would it be any good? We haven't the foggiest. It'd probably be sublimely cool, though. The money I'd pay to have the (PS4) Spider-Man game on Switch. Thank you, Spider Man! But Mary Jane is in another castle! @Aerona You mean another city. I hope the spider man game on ps4 has a complete edition soon. Same with Red Dead Redemption 2. Cool. Spiderman's design looks a little more like Megaman though, no? Web-slinging around New Donk City. Oh, and there'd better be a pizza delivery minigame for a Power Moon. This? [snort] This is nothing. 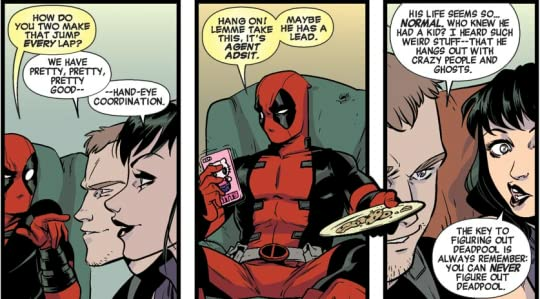 Try reading a Deadpool comic, such references are commonplace there. 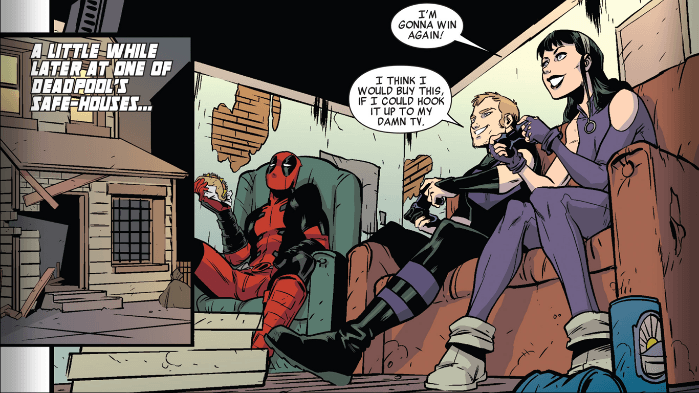 "Hawkeye vs. Deadpool" comes to mind - it had "Corrado Kart". I wish I could find the exact panel I'm talking about, but the one preceding it will have to make do. Revenge of the sinister 6 and arcades revenge for switch confirmed! Hang on, there's the following panel. I can't seem to find the exact one, apparently. Did any notice a legend of Zelda and earthbound reference in tmnt and Batman comics? Amazing spider-mario in the next spider verse confirmed lol imagine if spider-ham was Yoshi. Bowser could be the green goblin. It could be fun to crossover. I'll take firestar over that boring fire flower any day of the week. @SetupDisk I hope it gets more DLC! I had a total blast with the game, but its plot has a few loose ends, and The City that Never Sleeps didn't really help any. If not a Season 2, than a sequel would be awesome! It looks like Mario mixed with Mega Man.